It's that time of year again. My favorite time of year. I love everything about the season. I just want to soak it all up. The one big exception is having to go out and do some shopping, which I will begin at any moment now. For now, I am enjoying the music, the sights, making a wreath or two, and baking. My baking list is very long, only because there are always so many recipes that I want to try this time of year. This classic recipe is top of the list, and is an old family favorite. It comes to us from my great-grandmother is named "Gram's Molasses Cookies". I have made very few changes to the original recipe, only adjusting the method a bit and adopting my mother's adjustment, which was to add more flour. The cookies are soft and will stay that way for several days. 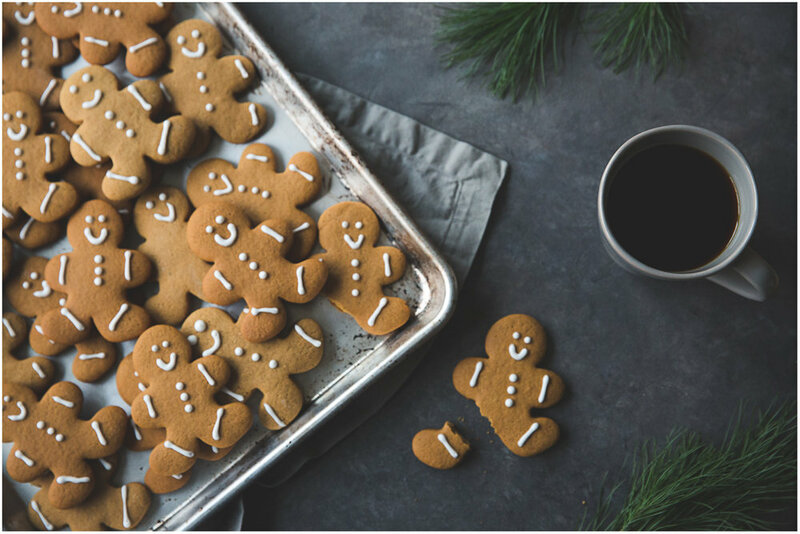 The original recipe does not use much in the way of spices, which is why they are molasses cookies as opposed to gingerbread cookies. They are a year-round favorite of mine, made with no spices and just the flavor of the molasses shining through. 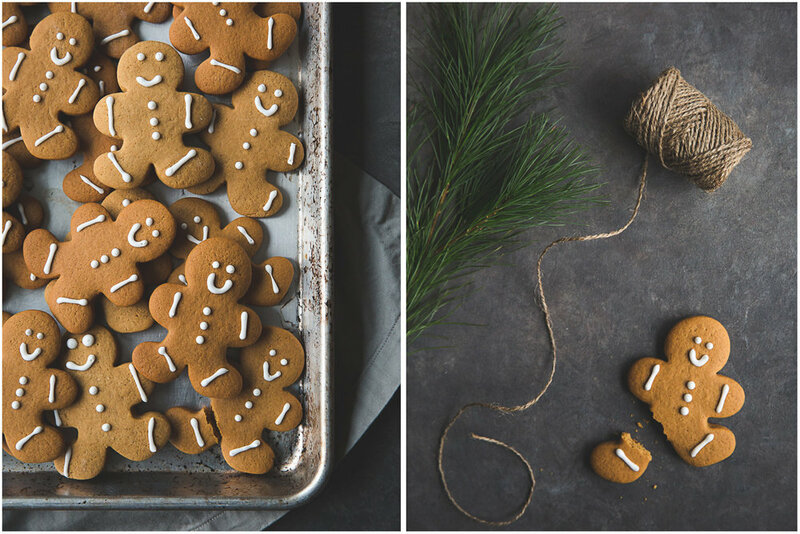 But for Christmas, I added the spices I associate with the season - ginger, cloves, cinnamon, cardamom, and pepper - and turned them into gingerbread men. 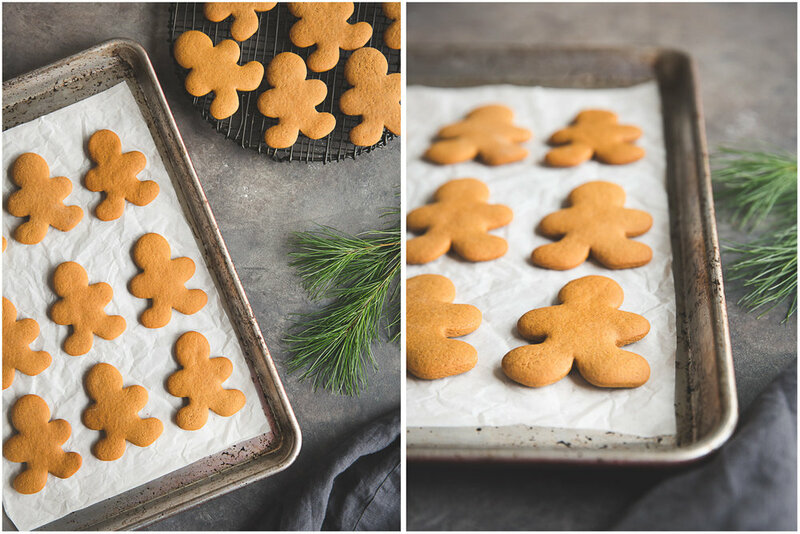 They will stay soft if you make them thick and avoid overbaking, and store in an airtight container. I iced my men with a basic royal icing. Using a stand mixer or strong arms and a wooden spoon, beat together the sugar and shortening. Add molasses, egg, water, vanilla and lemon juice and mix well. Don't worry if the mixture looks a bit curdled at this point, it will smooth out again when you add the flour. Add 3 c. flour, the baking soda, salt and the spices, if you choose to include them. Mix together slowly until well-combined. Continue adding the flour, one cup at a time, until you have a dough that is soft but not sticky, like fresh play dough. Roll out onto a lightly floured surface to about 1/4 inch thickness and cut into desired shapes. Place on parchment or nonstick baking mat, and bake for 10-12 minutes, keeping an eye on them at the 10 min mark. They should be cooked through but still soft and just starting to turn a more golden color. Ice with royal icing, if you wish, or enjoy them unadorned. Store in an airtight container for several days.